Cause for Alarm? | DiNuzzo Index Advisors, Inc. Quietly, without a lot of fanfare, the U.S. national debt moved past $20 trillion last September 8. On March 15, it exceeded $21 trillion. The next time the debt ceiling will come up for a vote is March 1, 2019, at which point the total could be another $2-3 trillion higher. Should you be alarmed? Perhaps. 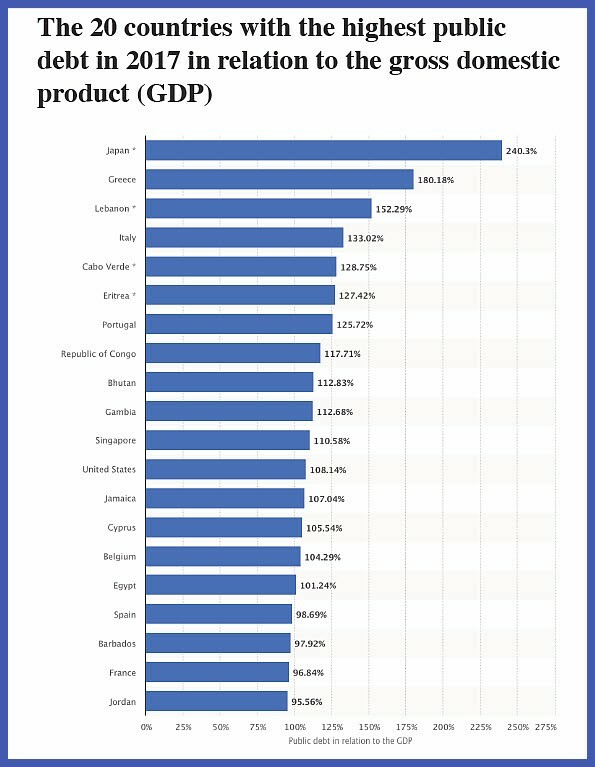 The statistic that most economists look at is the federal debt in relation to the country's Gross Domestic Product (GDP); that is, to the size of the country's economy. The idea is that you want to know whether the economic activity that is being taxed is sufficient for the country to be able to make future payments on its debt. 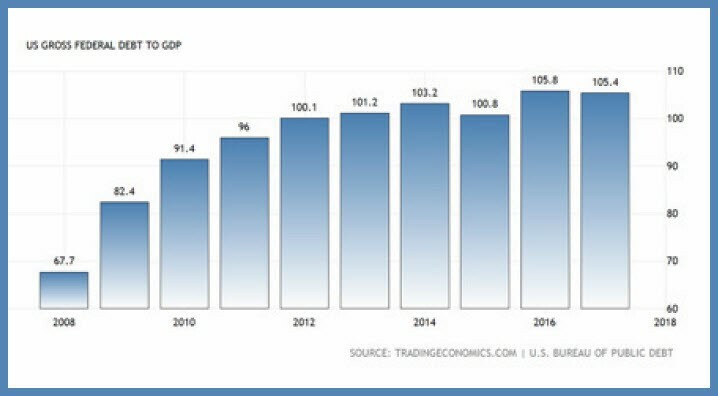 As you can see from the accompanying chart, although the overall debt level has been rising steadily, the debt-to-GDP level has been fairly steady since 2012-which is reassuring until you realize that some consider anything exceeding 100% to be worrisome. The International Monetary Fund has created an algorithm that color-codes the safety of a country's debt load relative to GDP, and this measure assigns Greece, Italy and Japan a reddish "grave" score, put countries like France, Ireland and Spain in an orange "caution" zone, while the United States is still comfortably in the green. Government debt here in the U.S. may be higher than we like, and the fact that it seems to always grow may feel alarming. But global economists and borrowers aren't worried about whether or not America can pay its bills.